Named after Chief Gaborone of the Batlokwa tribe, Gaborone is the capital city of Botswana. It is a typical 'best of both worlds' city with vibrant Tswana and African culture merged with modern and western lifestyle. The maintenance of the city's state especially for roads, parks and sanitation is the domain of the Gaborone City Council. Travel around the city to view the place. Get in the next flight and visit Gaborone. Being the administrative centre of Botswana, Gaborone automatically occupies the central position as the country's business investment hub. 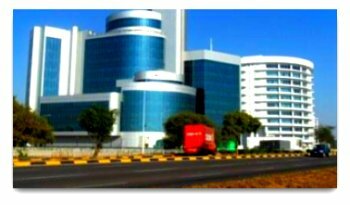 All of your business and investment in Botswana start in the city. Major businesses for government, private sector and non-governmental organisations have established their primary services in Gaborone. Accommodation comes at a price in Gaborone! Getting accommodation in Gaborone ranges from using commercial property sellers or real estate agencies to dealing directly with house owners. You can also book a room in the exquisite but affordable hotels in Gaborone. The real estate agencies in Botswana are professional, ethical and.... will get you a house. Most of Botswana's abundant land is undeveloped, but Gaborone has almost run out of free land. Your best shot in acquiring property for business or residential in the city is by buying developed property. Gaborone boasts of world class hotels and lodges. In addition there are a hundred other places like guest houses, bed and breakfast and rent-a-room accommodation in the city. Any major attractions in the city.....? Gaborone is a beautiful place with wonderful attractions. You will be spoiled for choice! Gaborone Game Reserve is the third busiest game reserve in the country! Both Mokolodi Nature Reserve established for wildlife conservation and education, and Lions' Park which is home of the lion, lie on the outskirts of the city. More attractions lie in the proximity of the city such as the Phuthadikobo Museum and the Matsieng Footprints both in the Kgatleng District, Bahurutshe Cultural Village in Mmankgodi, Oodi Weavers in Oodi village and Thamaga Pottery in Thamaga village. Go to the best restaurants in Gaborone to dine out and meet people. 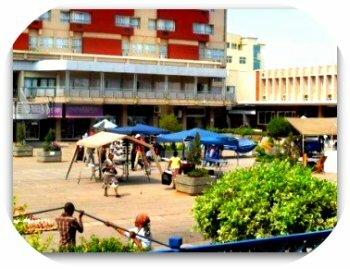 Maitisong 'place of fun' is popular for hosting major festivals and shows in Gaborone. The Maitisong festivals are an annual event that take place during the month of April. Cultural shows are often hosted in the city. 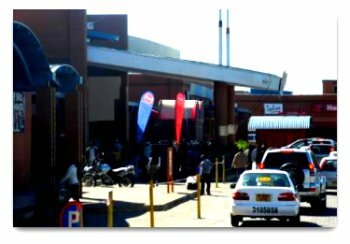 Local cuisine shows, art and culture and various exhibitions always take place in places like the Botswana Craft, malls and the museum. Batswana showcase their talent in some public shows that are conducted every year. These shows are the toast of fun in Gaborone where the best of local talent is displayed in such as My African Dream which run for a series of weeks every week.